The 2015 Biometrics by the Harbour conference was held in Hobart, from Sunday 29th November to Thursday 3rd December 2015. See the conference booklet. Many photos are available to view. And go here or to the conference page to see all the talks that were put online. The 2013 Biometrics by the Canals Conference at held in Mandurah, Western Australia! A PDF version of the conference booklet is available here. And here are the conference photos for 2013 (and previous conferences). The 2011 conference, nicknamed "Biometrics by the Blowholes," was held at the Sebel Harbourside Hotel in Kiama, New South Wales, Australia, about 120 kilometres south of Sydney. Click on the conference booklet to see the abstracts and programme. There is also some video on youtube of Brian Cullis paying tribute to Arthur Gilmour who, along with Susan Wilson, received an inaugural ALF award from the region. Click here to view conference photos. The 2009 regional biennial meeting, Biometrics by the Lake, was held at Lake Taupo, New Zealand, on 29 November - 3 December 2009. The 2009 conference presentations are now available. Note that there were some changes to the printed programme. And click here to view conference photos. If you are interested in details of other past regional meetings such as where and when they have been held, numbers of participants, etc, then take a look here. For those able to travel further afield, other regional conferences are announced here as information comes to hand. Please contact the Webmaster with details if there are other conferences that could be listed here. We highly recommend attending the biennial International Biometric Conference (IBC) meetings, which are held in the off-year to our regional meetings. In 2020 it will be held in Seoul, Korea. Conference organisers can use these Conference Manual & Annexes. See below for further details of previous international conferences. IBC Barcelona 2018 2018.biometricconference.org, was held at the Barcelona International Convention Centre in Barcelona, Spain, during 8-13 July 2018. IBC Victoria 2016 2016.biometricconference.org with photos here. The 2020 Australian and New Zealand Statistical Conference will take place at the Gold Coast Convention and Exhibition Centre (GCCEC) 6-10 July 2020. It brings together the Statistical Society of Australia, the New Zealand Statistical Association, the International Institute of Business Analysis (Special Interest Group for Business Analytics), and the Australian Conference on Teaching Statistics. There will be strong program components of interest to a wide diversity of academic, government, and industry statisticians. Of particular interest is the continuing impact of Big Data. 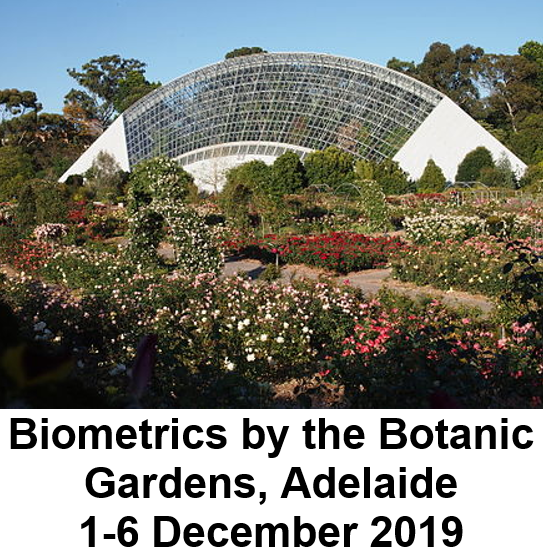 If you have a conference of relevance to the biometrical community in Australia or New Zealand, then please contact the contact the Webmaster with details.